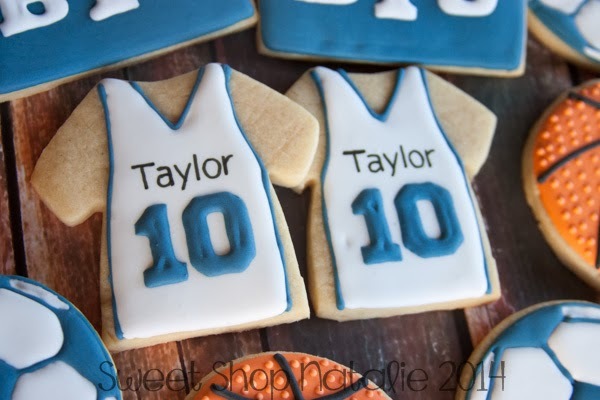 Sweet Shop Natalie: Sports birthday, basketball and soccer cookies! 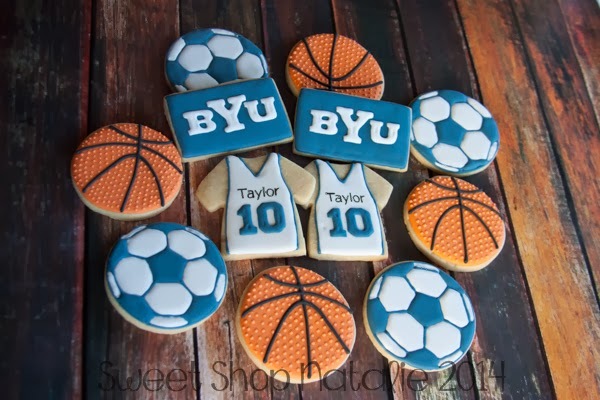 Sports birthday, basketball and soccer cookies! 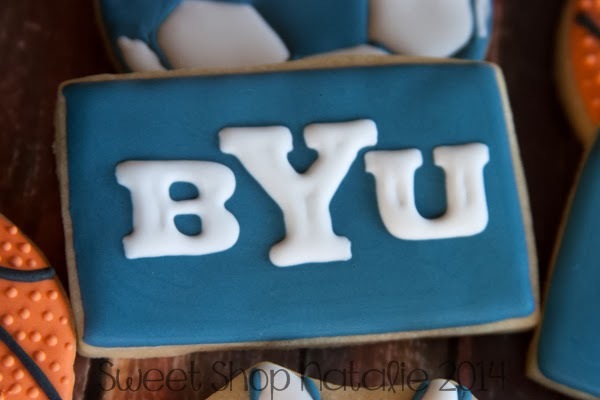 For a young 10 year old who lobes BYU and sports. 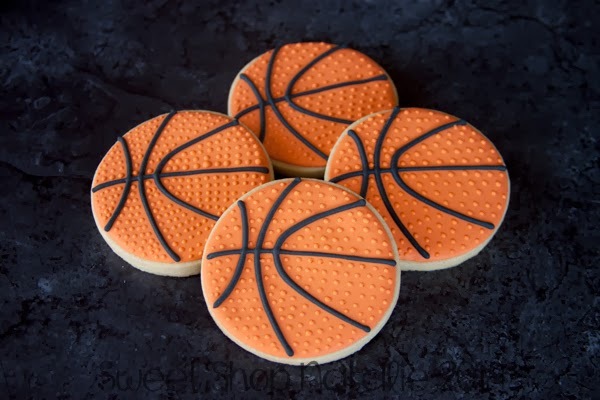 Basketballs are pretty simple and round cookie with orange icing and black lines. Then I thought I should make it a bit more realistic and decided to add a BUNCH of dots for texture..... that took a little time. 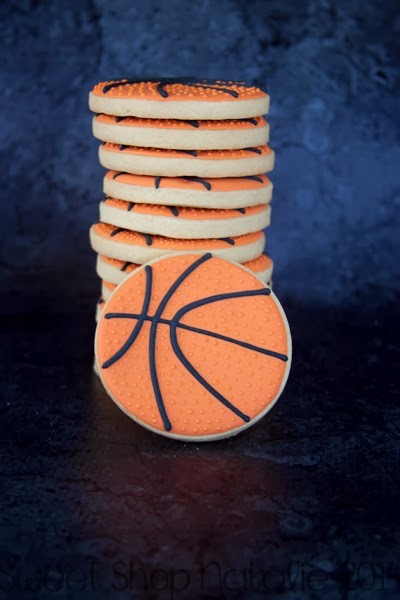 Told myself I would not do them like that again but every time I do a basketball I end up doing it!